"He felt his symptoms had overwhelmed him"
@TARA, were neighbors!! It was an ugly one last night hopefully tonight's not as bad! "It is very hard for people with these types of illnesses, usually, to seek help and participate fully in the process." Obviously I wasn't at these meetings between JH and Woodcock but I am dumbfounded how this doc didn't recognize that JH seemed to have researched mental illness, self-diagnosed and "offered up" key clinical symptoms/stories to substantiate his own personal claims. Did he not do any questioning or investigations himself or did he just take JH's word and went with it? @flip, this testimony is taking the road las less travvelled, ie meandering all over. 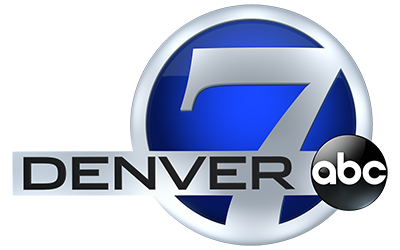 Gunman told Woodcock about plans A, B & C. "He said that they were longstanding ides that he had"
Plan A: Find a fix or cure for neurological impairment. @flip I disagree with almost all your comments, your intention seems to be more about your win of a death penalty, rather than the complexity of the "insanity". Now you are saying "publish or perish" is a standard of expertise. Plan B: Would be the opposite, biological weapons. "He's basically saying it would be killing a lot of people"
Plan C: "He just said, 'What I did.'" Are they planning on bringing any other "experts" to testify? I haven't followed this case until recently, but this doesn't seem too good for the defense. Im near Chambers and Alameda...hoping the storms tonite are tame!! @Stephany - I wondered right after the crime when they said he was a student in neuroscience if he used that study to promote his defense. Don't you all know Aurora is Tornado alley!! "It seemed to be a phase of this illness"
This examination is like watching syrup drip-- hope the jury is able to stay tuned in! I seem to remember Dr. Reid saying he would try to do some self-diagnosis. Still not buying this "doc" I still think he got manipulated by jh. "I thought the diagnosis of szhicoaffective disorder was more appropriate than schizhophrenia"
"He had an illness that was somewhat unstable and probably would be hard to treat"
@NT8 You are so right. It feels more like he told the dr what he had, not the other way around. Catatonia?! Sounds like he had chronic fatigue, to me. @Resa, why do you think the defense is BS? I think its interesting to learn more about social and mental behaviors that require advanced study. 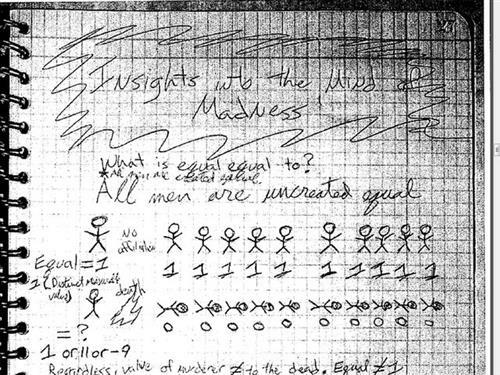 7NEWSThe infamous notebook containing the theater shooting gunman's dark thoughts and murderous plans is published. If the meds were causing such negative reaction why did he call Felton and about getting a refill but yet didnt want to go in to see her??? These "notes" sound more like a written narrative that the DT wanted to be included than the kind of info JH would have voluntarily said in such a short time with someone he didn't know. We've repeatedly heard how JH doesn't talk to new people because of his anxiety. He suddenly spilled his guts to this guy? No way. I'm trying real hard to be open for the defense to change my mind, but this dr is not helping with that. So no one here thinks there is even the slightest possibility that James Holmes is 50 shades of messed up and needs to spend the rest of his life in a maximum security psychiatric hospital? Is killing a mentally disturbed individual the right thing to do? Does it even matter to anyone here or do you just want blood regardless? I am in no way defending anything, just asking a question. @ Lori, If I see through this, I image the jurors are also. I just cannot believe that this doc just took it all at face value. Is it just me who thinks this is going well for the defense? I think Woodcock is very credible and actually saw JH right after the shooting so surely would have a better understanding of how he was at the time of the crime which is what is important. Reid saw JH after he was medicated and 2 years after the shooting. @okx--You are free to disagree with all of my opinions; however, if you were paying attention during testimony, it might be clear to you that the record, either strong or weak, of peer-reviewed publications in an expert witness's technical field is a fundamental metric used to measure the expert's credibility. It's part of their credentials, or not, get it?